Dream of Italy: First of all, how did you end up living in Rome? You’re American, correct? NA: I was born and raised in San Francisco and due to my family’s Italian heritage I developed a passion for Italian history and culture. In 1979, I came to Rome for a semester to study Roman history and once in Rome I met Giovanni, a true Roman gentleman, and it was love at first sight. Thirty-one years later, I’m still in Rome with my husband Giovanni and our two lovely girls Rachel and Ann, both involved in our family travel business. A century or so ago my Italian ancestors went to the United States from a tiny village on the Amalfi Coast so I suppose you could say that I have come back to my roots. DOI: How has Rome changed in the years that you have lived there? NA: Over the last 30 years, Rome has changed a lot, and for the better. Today the Eternal City is a modern European capital where you can still breathe and feel her romantic flavor, ancient history and friendly attitude. The Great Jubilee in 2000 brought more positive changes and was a great opportunity for Rome to get a facelift. Piazzas, churches and even the Vatican Museums, with the restoration of the Sistine Chapel, took advantage of the Jubilee to perform long-needed renovations. DOI: Tell us a little bit about your business and how it differs from other tour businesses in Rome. 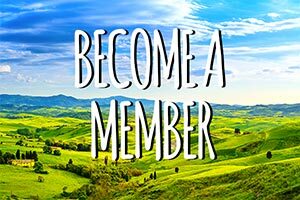 NA: Based in Rome, Nancy Aiello Tours is a boutique Italy tour-planning company focused on offering its guests visiting Italy the opportunity to spend quality time at quality venues with our strictly private guided tours led by multilingual official guides. Our strengths are our people, an experienced team of local travel consultants, highly trained licensed tour guides, reliable licensed drivers and trusted partners across the Bel Paese who are efficient, professional and most of all caring. Giovanni and I love to travel and have visited over the years five continents and more than 80 countries and territories, sometimes on a shoestring budget and sometimes splurging on the best hotels and restaurants. 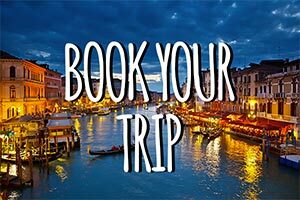 Based on our extensive travel experience our aim is to provide independent travelers and families visiting Italy with a vast array of high-end Italy travel services, knowing that each guest is unique and catering to their individual tastes requires knowledge and the utmost attention to details. DOI: What do you think are the most common misconceptions first-time visitors have about Rome? NA: Thanks to informative forums and sharp advises from websites like Dream of Italy, I think travelers these days are very well-informed and knowledgeable. When we visit a new city, especially in Europe, it’s human to want to see as many things as possible. A city like Rome provides so many attractions that it would be impossible to fit everything in even if you were to visit for a month. Over the years I found that’s the most common misconception first-time visitors have when planning to visit Rome a.k.a. Julius Caesar syndrome: Veni, vidi, vici –– which means I came, I saw (everything), I conquered. Rome wasn’t built in a day! Based on my experience I would suggest first-time visitors to set priorities create a very loose schedule that is not crowded with too many attractions and pack light. When in Rome don’t forget to have fun, blend with the locals and enjoy traditional Roman food! DOI: Say a first-time visitor has four days in Rome. How would you recommend they spend their time? NA: No city on the planet comes close to the Eternal City of Rome for history and the sheer extent of her treasures is breathtaking. There is sooo much to see! If you want to discover much, get up early, dress properly to visit churches, wear comfy shoes and hit the road. On day one, I would recommend touring ancient Rome wandering over to the Roman Forum and Colossseum and take a leisure afternoon walk to explore piazzas and fountains like Piazza Navona, the Spanish Steps, the Pantheon, the Trevi Fountain, Piazza del Popolo and Piazza Venezia. Day two should be devoted to the Vatican to explore St Peter’s Basilica, the Vatican Museums and Michelangelo‘s Sistine Chapel. Michelangelo lovers should not miss the 5th-century Christian Basilica of St. Peter in Chains that houses Michelangelo’s stunning Moses. Then take an afternoon tour into the early Christian past along the ancient Appian Way to visit the network of underground Christian catacombs and the nearby remarkable Basilica of St. Paul outside the walls, the largest patriarchal basilica in Rome after St. Peter’s. On day three, the lively outdoor market in Campo de Fiori is a good starting point to enjoy Rome’s everyday life before visiting the nearby Jewish Ghetto and the adjacent Tiber Island to reach Trastevere, an eclectic neighborhood full of great medieval churches and baroque architecture. Once here go the extra mile to reach the scenic Janiculum Hill, famous for its breathtaking view over the city. On day four, I usually suggest my guests and friends to visit the Borghese Gallery, home to one of the most amazing collection of renaissance and baroque paintings in the world, housed in the park of Villa Borghese, the greenest and most serene section of Rome. This is a good place to picnic, relax and start planning your next trip to Rome. Last but not least: do tour Rome by night! Pretty much all of the major attractions that you’ll see during the day are lit up at night. And yes, definitely worth seeing again, and again. DOI: Do you have a favorite neighborhood and/or hotel(s) that you recommend to visitors? NA: Each neighborhood in Rome offers a distinctive flavor and provides a unique set of emotions but if I had the chance to choose only one place I would love to live in the area around Campo de Fiori, probably on Via Giulia — the most beautiful and Renaissance street in Rome. On Via Giulia you can take advantage of the 5-star deluxe hotel St. George Roma or perhaps just drop by for its amazing cocktails. As an alternative, next to Campo there’s the nice and intimate 3-star Hotel Campo de Fiori offering good value, good service and a glorious 360-degree terrace on the roof. DOI: Many of our readers have been to Rome numerous times. What sites/activities do you recommend for someone who has already been to the major attractions? NA: Beside the Vatican Museums and the Borghese Gallery, Rome has plenty of museums quite often overlooked by visitors and locals alike. I tend to favor Palazzo Massimo Museum just off the Termini Railway Station with its priceless collection of Roman sculptures and mosaics and the Etruscan Museum of Villa Giulia with its outstanding collection housed in this Renaissance Papal villa. 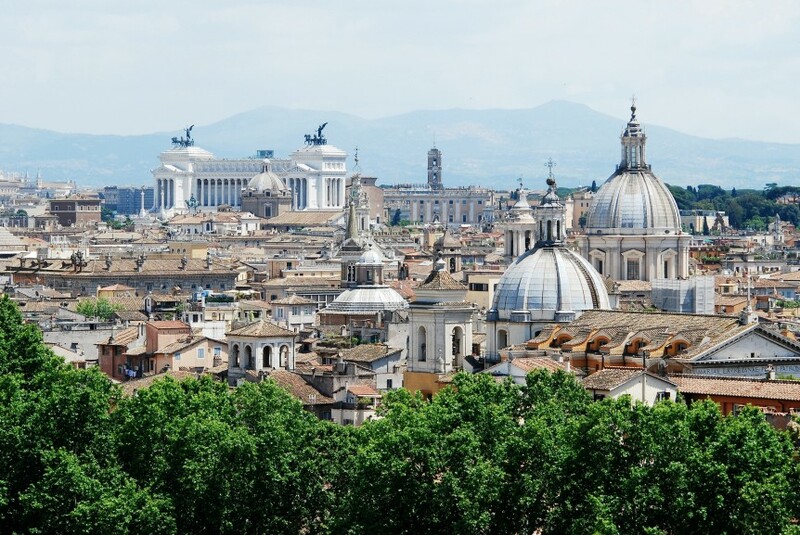 When in Rome don’t miss a walking tour of the Aventine Hill to experience the bucolic Orange gardens and the glorious view across the river to the Janiculum Hill and Saint Peter’s, and the early Christian Basilicas of Santa Sabina and Sant’Alessio. Last but not least enjoy the famous grand view of St. Peter’s through the Key Hole. If you want to get away from the hustle and bustle of the city, I would recommend a day trip to Orvieto and Assisi in Umbria and/or to Tivoli, about an hour east of Rome, to enjoy Hadrian’s Villa and Villa D’Este, both listed by UNESCO as World Heritage Sites. DOI: In a similar vein, our readers love to get the inside scoop on what’s new in Rome. Tell us about some of your favorite new restaurants, shops, hotels, etc. NA: Today you can experience a true slice of Roman life in places like Ponte Milvio and across the Pigneto district. Although off the beaten track, these two areas are becoming more and more popular with the locals. In Ponte Milvio try the delicious cold cuts served at the tiny vineria Peccati di Gola or a great carbonara pasta at Quinto Quarto. In the multiethnic Pigneto district, Rome’s Greenwich Village, I enjoy the old-style (and noisy) trattorias like Betto e Mary or the trendy tapas bars like Primo al Pigneto. DOI: What new tours or services are you introducing in 2010? NA: We’ve noticed that nowadays an ever increasing number of travelers are looking to stand out from the crowd seeking highly personalized travel services to get the most out of their Roman holidays. Our most successful private guided Rome tours in 2009 were food related tours like our private hands-on Rome cooking classes held in a apartment in the heart of Rome and our private culinary Rome walking tours where foodies have the opportunity to visit outdoor food markets full of fresh produce and meet local shoppers, have a taste of local cheese and cured meats in colorful deli shops, and enjoy the art of fresh pasta and bread in family run shops. In 2010, we launched, with excellent results so far, private guided tours of Rome and the Vatican designed for families with children eager to explore Rome with informative and fun private tours where parents and kids together can enjoy a truly memorable experience. The latest personalized services we have introduced cater to the value-conscious travelers and families who want to get a different view of Roman life and rent a self-catering apartment. On request we are glad to inspect and assess any Rome’s apartment or lodging that an independent traveler finds on the Internet to make sure it lives up to its web pictures and description and most important the rental agency and/or the landlord are reputable, reliable and friendly. And for those travelers we also offer private guided orientation Rome tours designed for first-timers who want to explore the city on their own but need a personalized guided tour to get acquainted in a smooth way with the local neighborhood. DOI: Are there any special events you are looking forward to in Rome this year? NA: OMG there are so many! In Rome, the Caravaggio Exhibition is thriving together with the must-see exhibition at the Capitoline Museum’s “Days of Rome: the Age of Conquest, Rome and the Greek World” and the “Morgantina Treasures” held at Palazzo Massimo alle Terme. The MaXXi Museum is set to open its doors on May 30, whilst a day trip from Rome allows you to visit the new Giotto exhibition in Assisi, not to mention the great exhibitions planned this year in Florence like Caravaggio and the Caravaggesques and cameos and intaglios of the Medici family. Business travelers may enjoy Roy Lichtenstein and Schiele exhibitions in Milan or perhaps Braque, Kandinsky and Chagall on show in Ferrara. 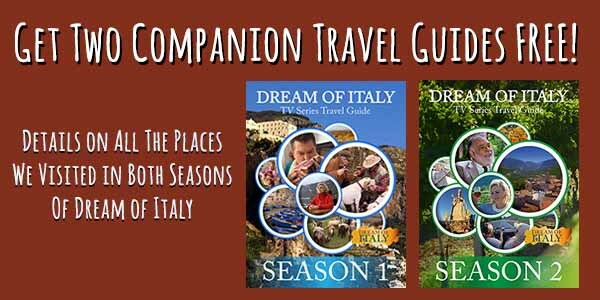 These are just a few of the many good reasons to visit Italy in 2010. DOI: When you have a day off in Rome, what is your favorite way to spend it? NA: I love the endless number of museums Rome offers and enjoy the peace of mind you get by looking at those ageless masterpieces. I also love cooking Italian regional recipes supervised by my husband Giovanni who is the real wine and dine maestro. We tour food markets and deli shops like La Tradizione to choose the right ingredients according to the season and we create our own signature dishes for the weekly dinner with local and expat friends known as the Formula 4: Food and Fun for Family & Friends!! !